LG released smart mobiles with good features compared to the others, so the below review will allow you to know more about the LG G3 and how it difference from other mobiles such as Sony Xperia Z2, Samsung Galaxy S5, HTC One M8 and iPhone 5S. The LG G3 has a largest screen at 146.3 x 74.6 x 8.9mm meaning and also allows the user to handle it comfortably alongside the other Android handsets, which back is made by brushed metal-effect plastic saves a little on weight, so it impress you with 149g. This plastic back is removable and similar as the Galaxy S5, so the S5 measures 142 x 72.5 x 8.1mm frame with the weighs 145g, but the metal body iPhone 5S is lighter at 112g with the less frame size compared to the above mentioned both android mobiles 123.8 x 58.6 x 7.6mm but the 160g HTC One M8 has 146.4 x 70.6 x 9.4 mm and the 163g Sony Xperia Z2 measures 146.8 x 73.3 x 8.2 mm frames. 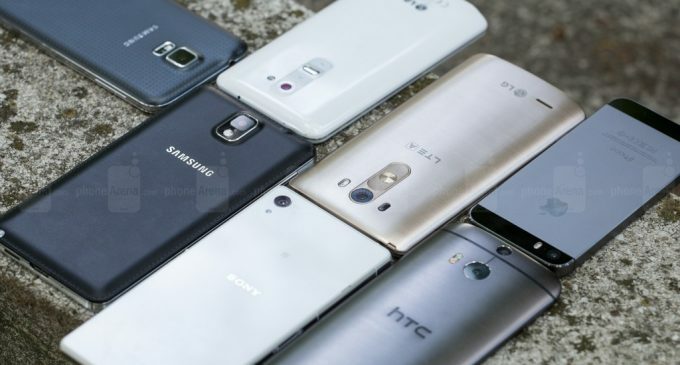 The One M8 comes with a metal unibody but the Xperia Z2 comes with the combination of the metal and glass, although the Galaxy S5 and G3 have a removable battery and back. Another key point of the LG G3’s screen is QHD 2560 x 1440 display, while the S5, M8 and Z2 launched with Full HD 1920 x 1080 screens, which offers 5.5 inches with the largest screen and the Galaxy S5 comes with 5.1 inches and the Xperia Z2 with a 5.2-inch, but the iPhone 5S comes with 4-inch screen comes with much lower resolution at only 1136 x 640 pixels. 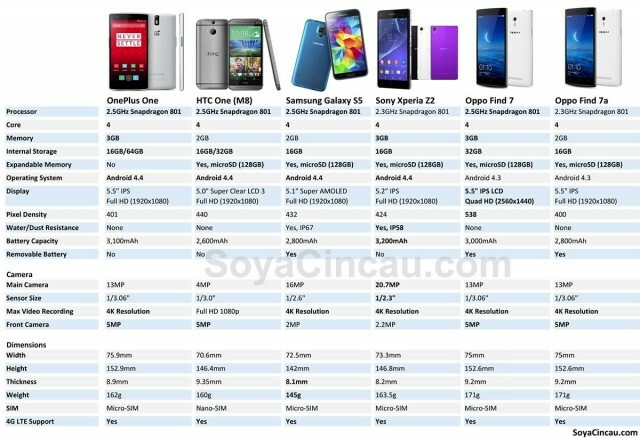 The LG G3 also best in it by 538ppi and the 441ppi boots the HTC, Samsung comes out with the 432ppi and the 424ppi Sony. 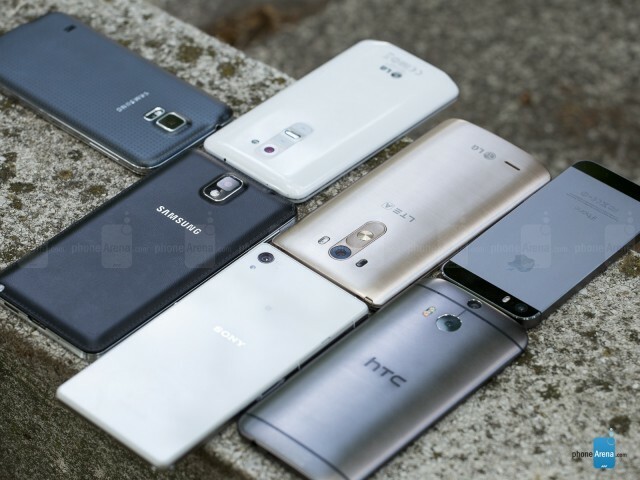 Screen resolution of each one is differ that the Galaxy S5 has a Super AMOLED panel, the HTC has a Super LCD3, the Sony comes with an IPS LCD and Apple has chosen an LED IPS LCD screen. So read it and know which is best among all.